Our online 20-hour TEYL course teaches you the skills you need for these challenging and rewarding young learners. Even the "old pros" on the teaching circuit taught young kids in their early days. Most teachers love teaching young learners. They grasp language so quickly and naturally. 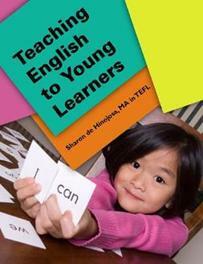 But teaching English to young learners is different from teaching adults or even teenagers. how to deal with problem parents. These young kids are not as difficult as they might seem once you take the advice of an experienced teacher with a master's degree in TEFL and lots of practice with kids under her belt. She developed this Teaching English to Young Learners Certification Course and she makes it easy for you to get the ideas and put them to work. Behavior Management - Made Easy!